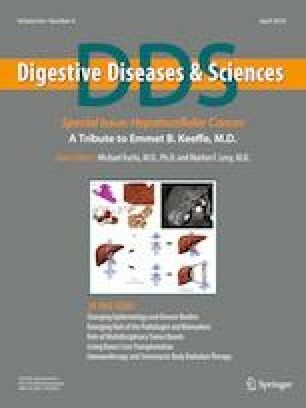 Providing diagnostic and therapeutic interventions, lower gastrointestinal endoscopy is a salient investigative modality for ischemic bowel disease (IB). As studies on the role of endoscopic timing on the outcomes of IB are lacking, we sought to clarify this association. After identifying 18-to-90-year-old patients with a primary diagnosis of IB from the 2012–2014 Healthcare Cost and Utilization Project-Nationwide Inpatient Sample, we grouped them based on timing of endoscopy into three: early (n = 9268), late (n = 3515), and no endoscopy (n = 18,452). We explored the determinants of receiving early endoscopy, the impact of endoscopic timing on outcomes (mortality and 13 others), and the impact of the type of endoscopy (colonoscopy vs. sigmoidoscopy) on these outcomes among the early group (SAS 9.4). Less likely to receive early endoscopy were Blacks compared to Whites (adjusted odds ratio [aOR] 0.81 95% CI [0.70–0.94]), and individuals on Medicaid, Medicare, and uninsured compared to the privately insured group (aOR 0.80 [0.71–0.91], 0.70 [0.58–0.84], and 0.68 [0.56–0.83]). Compared to the late and no endoscopy groups, patients with early endoscopy had less mortality (aOR 0.53 [0.35–0.80] and 0.09 [0.07–0.12]), shorter length of stay (LOS, 4.64 [4.43–4.87] days vs. 8.87 [8.40–9.37] and 6.62 [6.52–7.13] days), lower total hospital cost (THC, $41,055 [$37,995–$44,361] vs. $72,598 [$66,768–$78,937] and $68,737 [$64,028–$73,793]), and better outcomes. Similarly, among those who received early endoscopy, colonoscopy had better outcomes than sigmoidoscopy for mortality, THC, LOS, and adverse events. Early endoscopy, especially colonoscopy, is associated with better clinical outcomes and decreased healthcare utilization in IB. Unfortunately, there are disparities against Blacks, and non-privately insured individuals in receiving early endoscopy. Olalekan Akanbi and Adeyinka Charles Adejumo contributed equally to the study concept, design, acquisition, analysis, interpretation of data, and drafting of the manuscript. The online version of this article ( https://doi.org/10.1007/s10620-019-05598-3) contains supplementary material, which is available to authorized users. Hale JJ, Thompson DM, Darden PM. Calculating subset weighted analysis using PROC SURVEYFREQ and GENMOD. http://support.sas.com/resources/papers/proceedings13/272-2013.pdf. Accessed 23 Dec 2017. HCUP Methods Series Calculating National Inpatient Sample (NIS) Variances for Data Years 2012 and Later. https://www.hcup-us.ahrq.gov/reports/methods/2015_09.jsp. Accessed 21 Dec 2017.